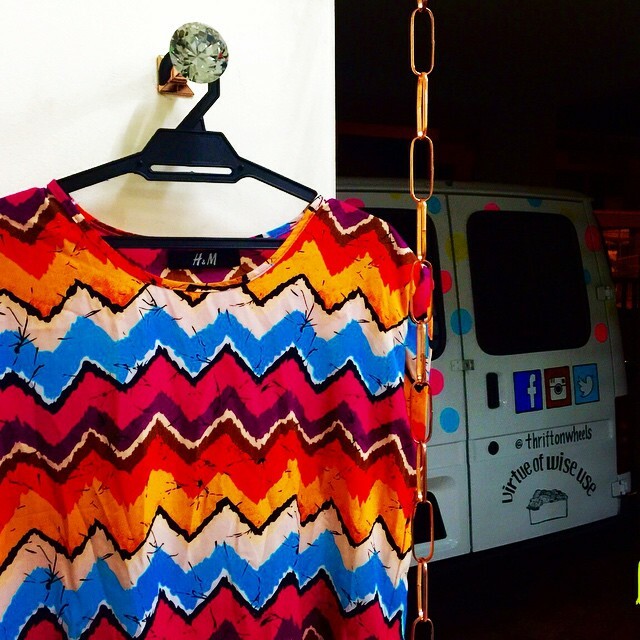 Did you know that roughly 10% of the annual waste in Malaysia happens to be clothing? In fact, many of us have piles of clothes lying in our closets—clothes that we’d never wear and some clothes that we just can’t wear. What do we do with them? Do we just leave them to rot in our closets? Or is there a way for us to put them to better use? Two thrifty sisters, Syakirin Rosik and Athirah Rosik seem to agree. The sisterly duo were disheartened by the absence of enough places where we could send our used clothes to and also by the lack of transparency that’s implicitly tagged onto many donation boxes and charities. “Many of the clothes donated to underprivileged communities are stained, or can no longer be used which we find heartbreaking,” the sisters remarked. “A good example of what happens in Malaysia is the donation of clothing that recently went to the Kelantan flood victims. We see news of male victims wearing baju kurung, because there isn’t enough male clothing contributed to their camps,” they added. 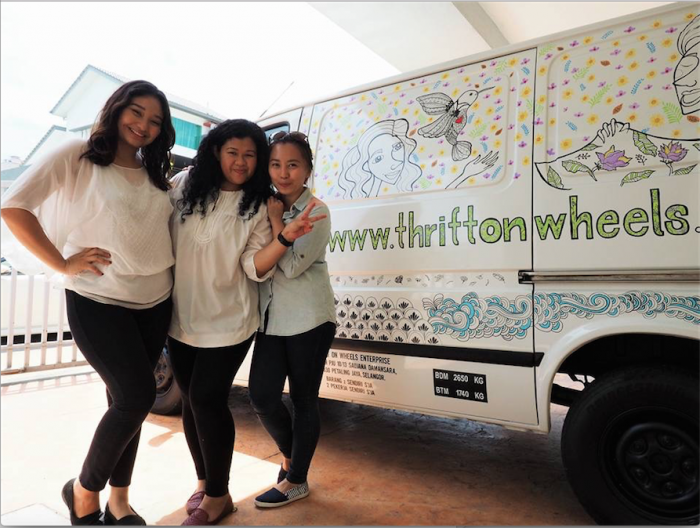 Given the issue at hand, the duo joined forces to set up a social enterprise called Thrift-On-Wheels (no, it has nothing to do with Macklemore and his song) as a way to help us better deal with our overfilled closets. 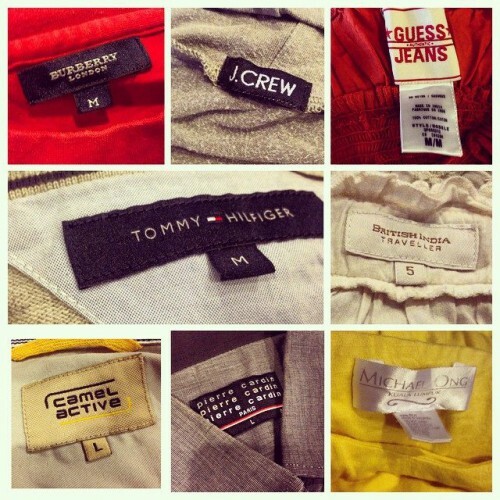 Get Paid For Your Old Clothes! At the core, Thrift-On-Wheels is a waste management enterprise that’s looking to connect fashion consumers who lack affordable and quality products with the countless number of Malaysians who throw away their used clothes are still in pristine condition which adds up to our disastrous waste. What’s more? They pay their contributors as a reward for their effort in making the world a greener place. Well, that’s not all. 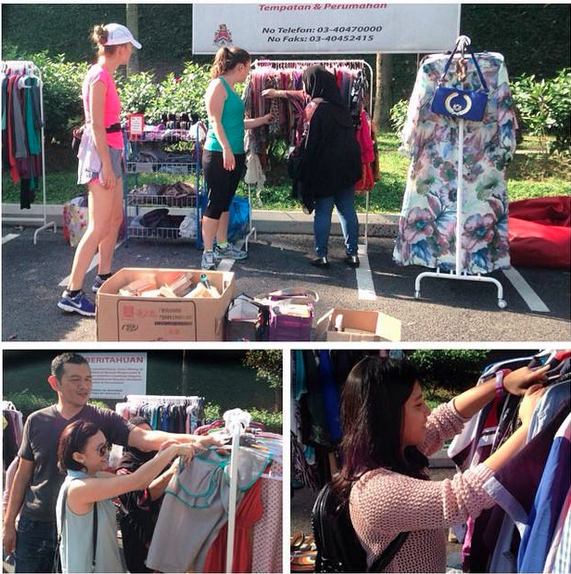 You can submit a pickup request here and they will drop by, buy and pick up your items for free. 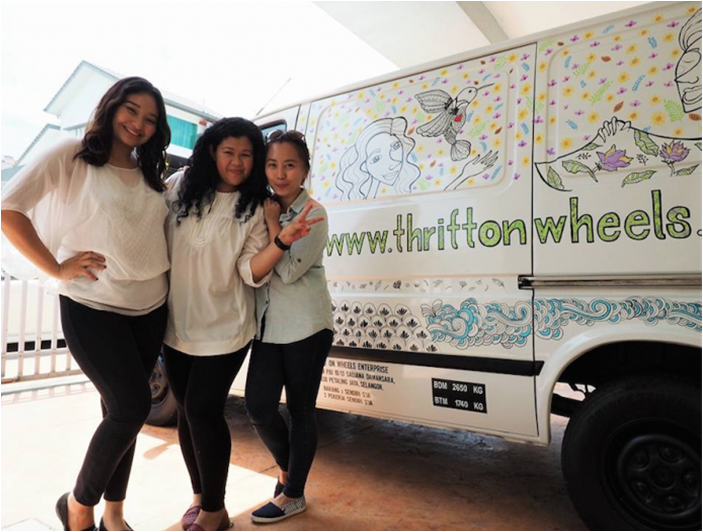 They have a mobile boutique called The Thrift Truck that cruises through Klang Valley selling the donated clothes. And that’s how they make their money—by reselling used clothes and books. 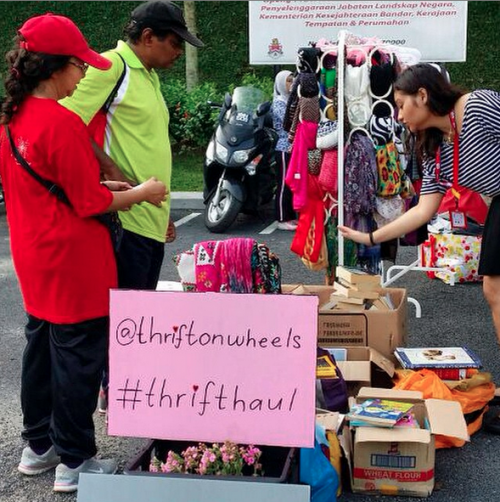 The Thrift Truck operates 7 days a week and is parked at different places around Klang Valley, depending on its operational schedule. They currently focus on areas such as Damansara, TTDi, Bangsar and Mont Kiara and they will be extending their operations such as Puchong, Klang, Ampang from September. 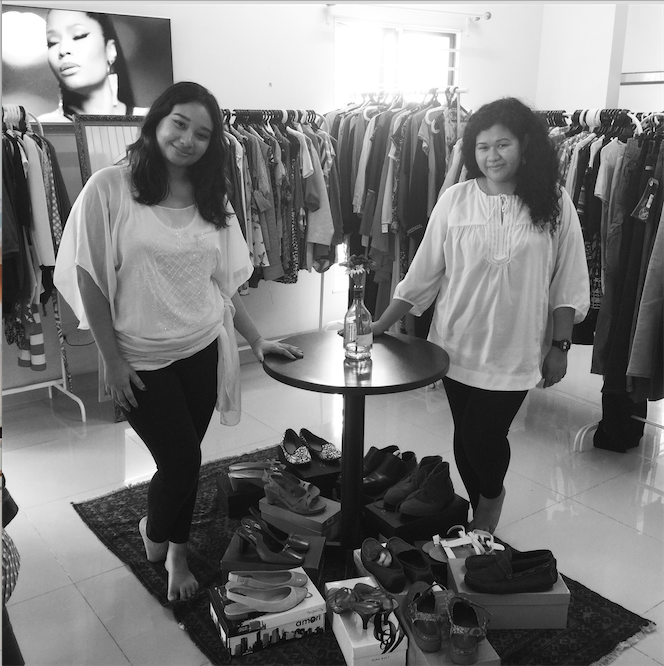 Besides that, contributors and thrifters can also drop by their operational center otherwise known as The Thrift House to sell or buy used clothes. They also host monthly events called Thrifty Party at their Thrift House for passionate thrifters and shopaholics to come together to thrift and mingle. They provide light food, good music and a 5% discount for anyone who brings their own bags or refuses their paper bags. You would be able to find cool stuff at the Thrift House, like vintage Reader’s Digest from the 70’s with beautiful artworks as covers; Marvel vintage comics and other publishers; and high-end clothes like Burberry, Tommy Hilfiger and Coach, which you can purchase for less than RM50. That being said, retail is only a small part of their efforts to recycle and reuse the donated clothes. You can donate clothes in any condition to them and you can count on the team to put them through a sorting process and each piece of clothing is inspected for stains, broken zippers, among other things. “One of the weirdest things we had donated to use are probably a bunch of undergarments. If we did not sort out the donated clothes, these used undergarments might actually go to members of underprivileged communities. It is degrading to them, and we don’t want that to happen,” they added. Clothes that are in good conditions will be sold as part of their inventory and for donations they will consider a group of people who will receive them. For example, they’ll donate clean and washed blouses and comfortable pants or skirts to activists who need the clothes for a group of low-income single mothers. In fact, the clothes that are donated to charities and individuals are from the Thrift-On-Wheels inventory and it’s the same clothes that would have been resold. Clothes that are not in the best of condition will be upcycled by marginalised groups. “We have made purses, bags, and wallets from stained T-shirts, trousers and other clothing materials that we pick up from regular homes around Klang Valley,” the team shared. They also accept furniture and household items as donations as well. “We have once received a commode chair and have donated it to activists who work with old folks homes. We’ve also donated two boxes of children’s books to the Bajau Laut community in Mabul, Sabah,” the duo shared. 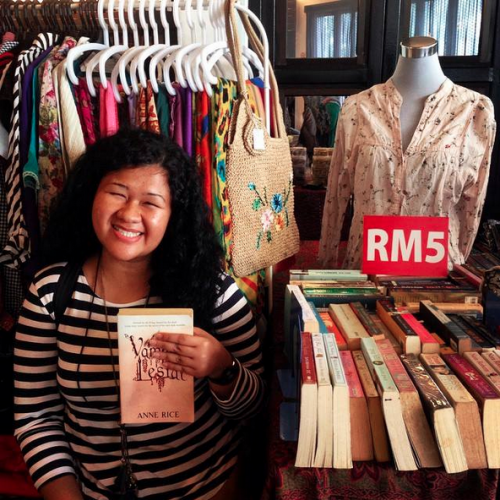 Prior to Thrift-On-Wheels, Syakirin Rosik was conducting her postgraduate research in Physics and Athirah Rosik was an experienced manager in the F&B industry. They claim to have been regular impulse buyers who’d spend hundreds on ill-fitted “branded” products that were probably put together by underpaid kids from Bangladesh or China. During their travels, they found many thrift stores that carried quality items with very affordable prices and over time, they took a vow to stop being part of today’s “fast fashion culture” that doesn’t pay a minimum wage to their workers and they are at peace knowing that they are part of a movement for a greener planet. They’ve been thrifting for about two years before starting Thrift-On-Wheels. But that’s not how the world perceives thrifters; in fact, a common stereotype people have towards thrifters is that they are cheap or maybe poor. But that couldn’t be further from the truth. Thrifters are financially smart and frugal and they believe that frugality needs to be celebrated in a society where overspending and over consumption is the norm. “For a long time, many of our friends didn’t realise that most of the items in our wardrobe are thrifted, as they couldn’t tell the difference. So they were quite surprised and impressed when they found out,” they remarked. Frugality is a quality that we definitely need to celebrate in our culture as it helps us put our resources to better use, although I do feel that frugality is best exhibited within boundaries—nobody likes an overboard cheapskate. Thrift-On-Wheels is currently looking to hire retail associates, retail manager and interns and you could send over your resume to this link. Find out when is their next Thrifty Party by following them on Facebook.